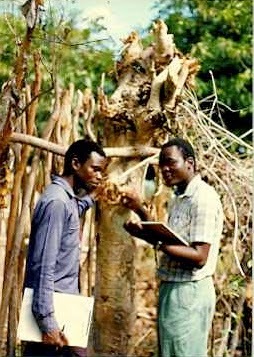 In the 1990s I conducted field research for my PhD in Zimbabwe. My first trip for the project was six weeks of research reconnaissance in 1993. The following year I spent ten months in Mutoko District, northeast Zimbabwe. There, together with a team of researchers, we collected data for my doctoral study on agroforestry - the way trees are used in the farming system.